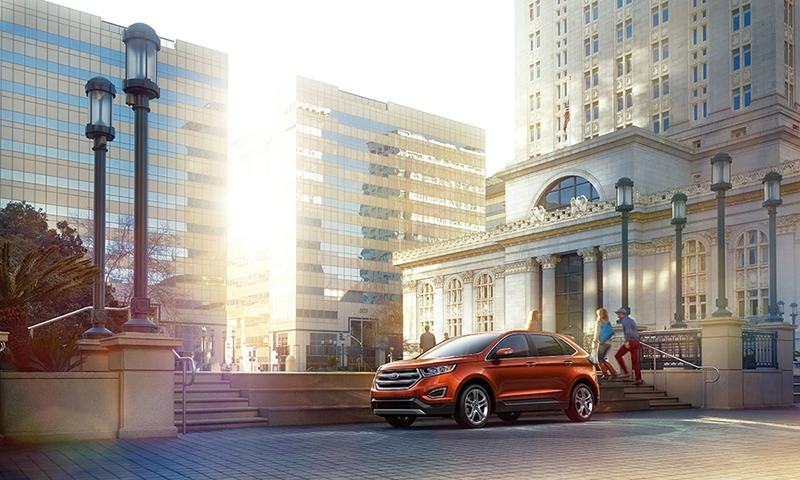 SCOTTSDALE, Ariz. -- The second-generation Ford Edge comes with an all-new 2-liter engine, but it has the same highway and combined fuel-economy ratings as the 2-liter version of the outgoing Edge. That’s unusual for a complete redesign, as automakers typically try to boost their ratings by at least 1 or 2 mpg to stay ahead of the competition and make progress toward federal fuel-economy requirements. 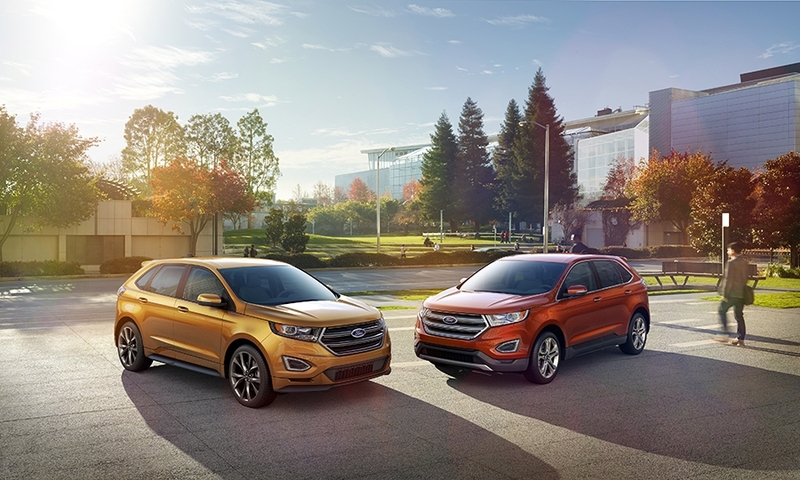 But Ford Motor Co. took a different tack with the Edge, which was already the top-selling midsize crossover on the market and among the most fuel-efficient. 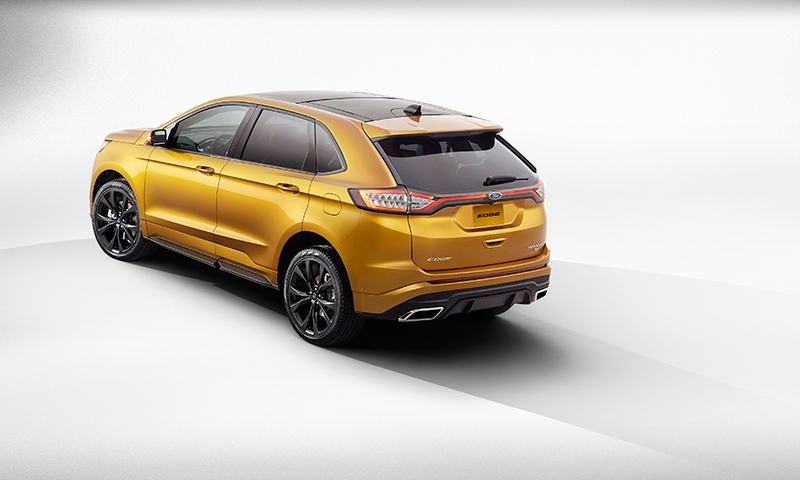 Ford instead focused on making the 2015 Edge more capable, comfortable and high-tech, saying its buyers want those improvements more than slightly better gas mileage. 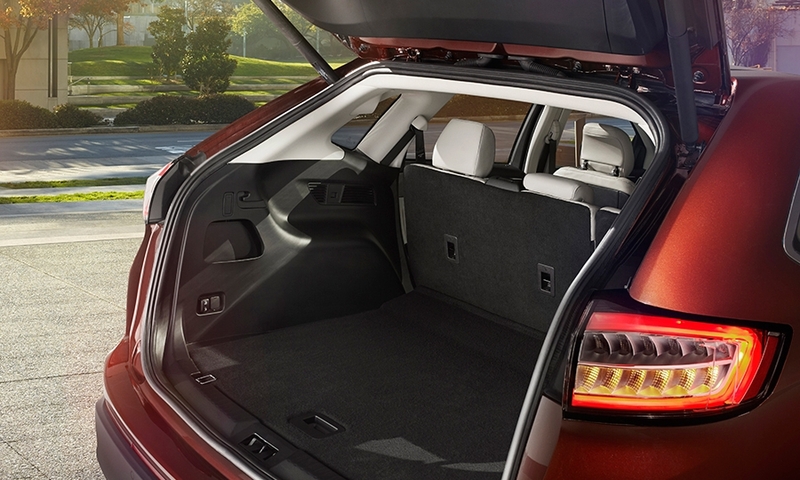 The result is a slightly longer, taller, lighter vehicle that feels more nimble, can tow 3,500 pounds with its base four-cylinder engine, and gains 5.5 cubic feet in the passenger compartment. 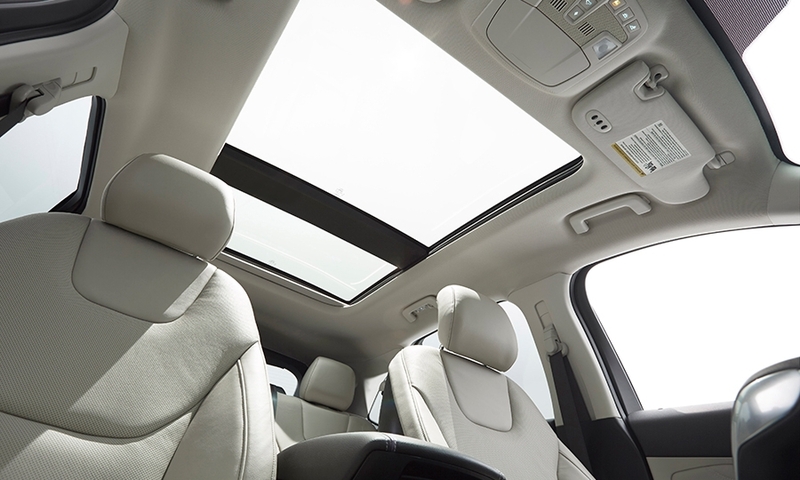 It helps drivers see around blind corners and can park itself in a variety of situations. The approach is similar to what Ford did with the aluminum-bodied F-150, emphasizing the additional toughness and capability more prominently than the modest improvement in its fuel-economy ratings. But it leaves open an opportunity for rivals to leapfrog the Edge in the coming years. 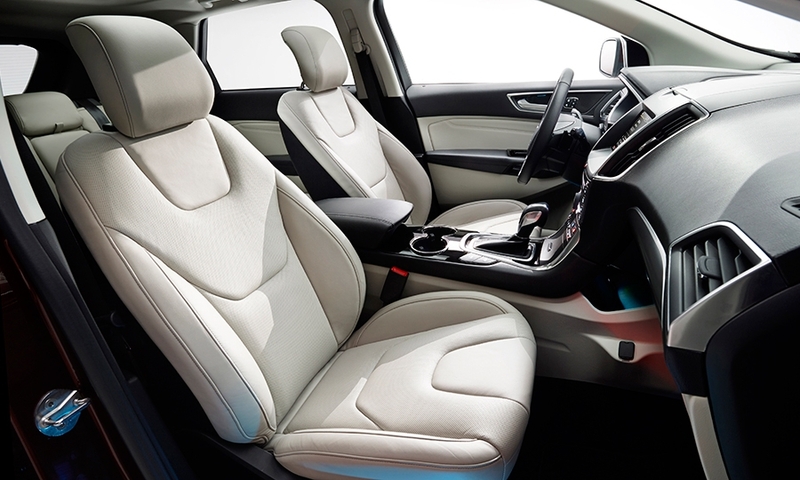 The Honda Crosstour, a slow-selling Accord variant that Ford lists among the Edge’s competitors, already beats the new Edge by 1 mpg. The added capabilities, a plusher ride and more upscale features could help draw a firmer line between the Edge and Ford’s other two-row crossover, the Escape, which is smaller and starts at about $5,100 less. Consumers who prioritize fuel economy can choose the Escape, which is rated 2 mpg better than the Edge. 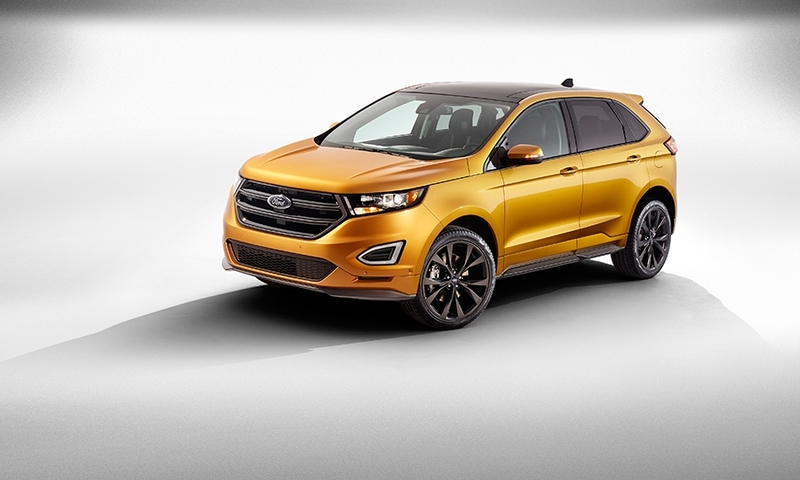 But Ford says that’s not among the top three factors for midsize crossover buyers. “It’s important, but it doesn’t drive the decision,” said Cristina Aquino, consumer marketing manager for the Edge. 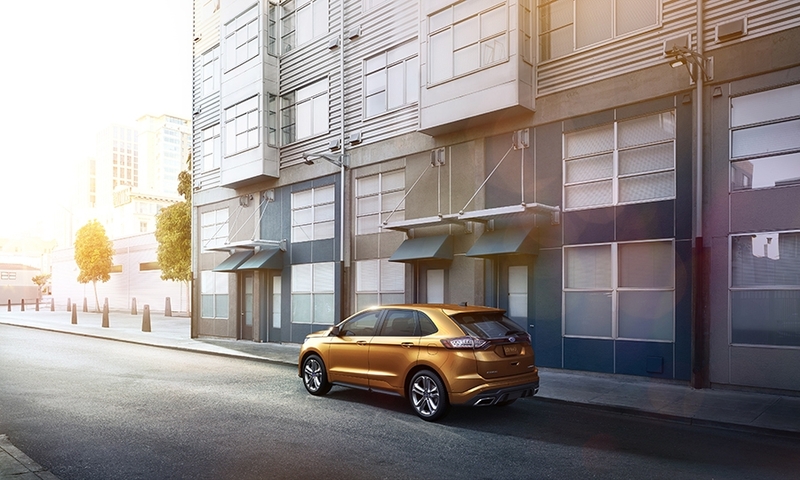 The 2015 Edge, which began arriving at dealerships this month and has the same $28,995 starting price as the 2014, marks the first time that EcoBoost -- Ford’s brand of turbocharged, direct-injection engines -- is standard equipment on any Ford vehicle. 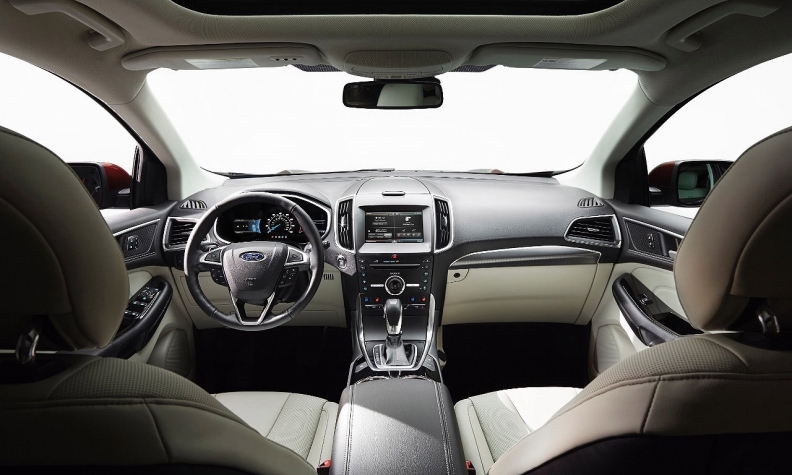 It’s Ford’s first vehicle offering a 180-degree camera with washer mounted in the front grille, and its first in North America that can automatically back into perpendicular parking spaces. 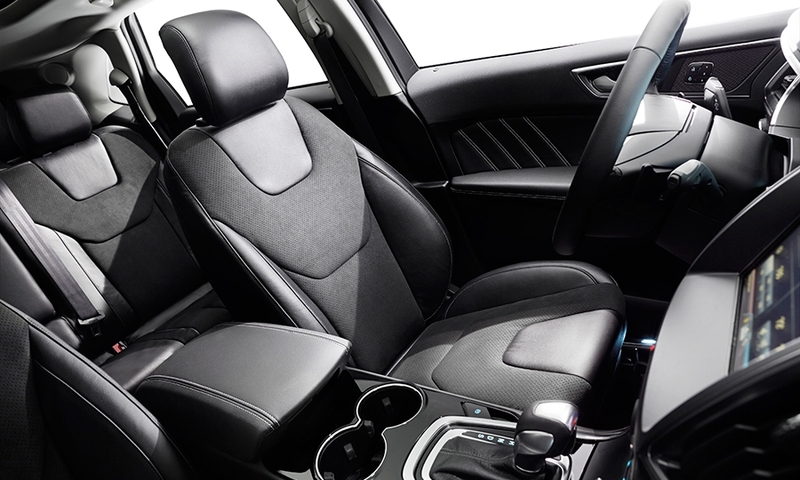 The Edge also can steer into and extricate itself from parallel spaces, as long as the space is at least a foot longer than the vehicle. During a demonstration of the technologies here last week, the Edge easily reversed itself into a narrow space between two hulking Ford Transit vans. When pulling out, the front camera -- which cleans itself of the dirt that can accumulate on the road, or in this case shaving cream applied by Ford -- revealed approaching baby strollers otherwise obscured by the adjacent vehicles. 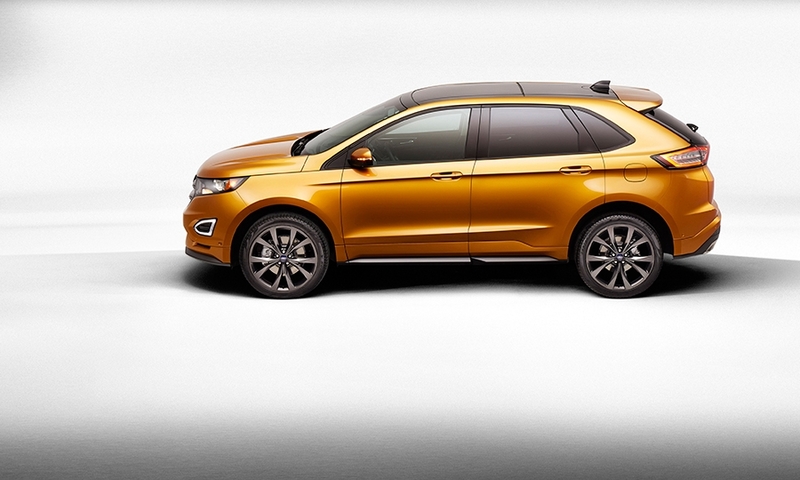 The 2014 Edge had a 3.5-liter V-6 engine as standard and a 2-liter, four-cylinder EcoBoost engine as a $995 option. For 2015, it’s the reverse: A new 2-liter, four-cylinder EcoBoost engine with a twin-scroll turbocharger is standard, and the carryover 3.5-liter V-6 is a $425 option. 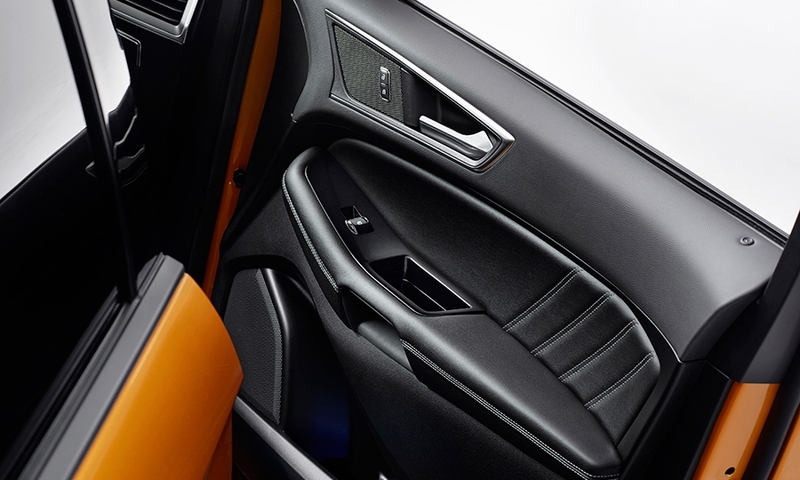 Both engines are available with either front-wheel drive or all-wheel drive, whereas awd was not offered with the 2-liter engine previously. A 2.7-liter V-6 EcoBoost comes in the top-end Sport trim, which starts at $38,995 including shipping and is expected to account for about 12 percent of Edge sales. 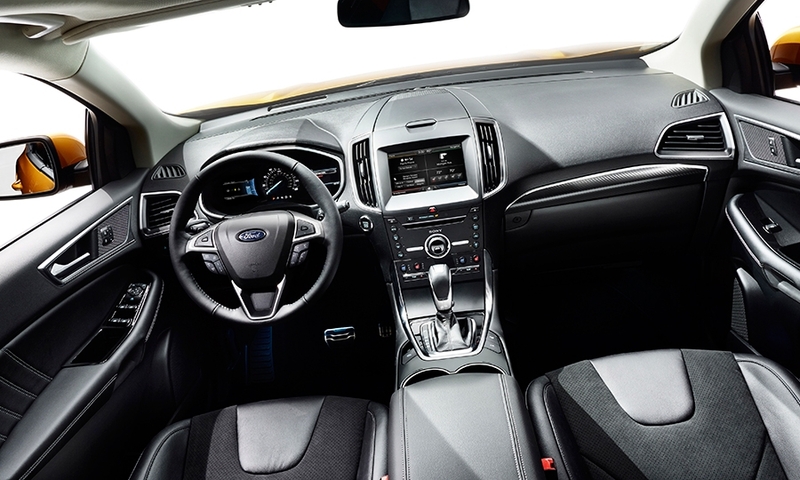 Besides increasing rear-seat legroom and headroom, a weakness of the outgoing Edge, Ford made the interior feel more luxurious, eliminating areas where passengers used to see exposed body-color sheet metal, using significantly more soft-touch surfaces, removing the vertical rubber divider in the rear windows and offering heated rear seats.